Sorry for the delay in posts this week. I have been working hard to give Modern Style Mama a much needed fresh new look for the New Year. I didn’t want to wait several months on a waiting list so I decided to play around with things on my own. I searched around and purchased a header from Delicious Design Studio and did the rest myself. I’m certainly not a professional but I think I did a pretty decent job. I’m sure I will make some more changes so please bare with me. I may even decide to seek professional designing help down the road but for now this is my NEW look. Make your child/children’s Christmas even more magical this year. I can’t wait to see the look on our boys faces when I tell them I caught Santa under the tree this year. It will be even better when I show them the picture I took! Oh yes, I really have a picture of Santa under OUR TREE! 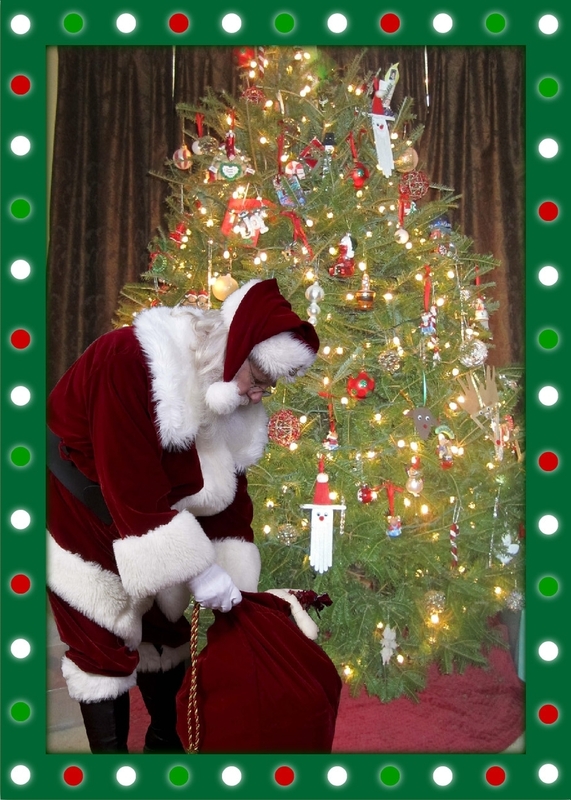 I found a fantastic website ( http://www.icaughtsanta.com ) this year that allows you to place a picture of Santa in a picture of your very own home. They have several borders and pictures of Santa to chose from! It does cost $9.99 but it’s well worth seeing the extra little bit of magic in your children’s eyes when they see it. I CAN’T WAIT! I know I usually post a healthy recipe makeover. But it’s Christmas and it’s okay to splurge a little every once in awhile. I haven’t found a good low fat sugar cookie recipe anyway. It is “all natural” ingredients at least! Cream together butter and sugar, add eggs and vanilla and mix until light and fluffy. Sift flour, baking powder, and salt into a medium mixing bowl. Add dry ingredients a little at a time and mix until combined. Use hands if necessary so dough holds together. Roll out dough 1/8 inch thick on floured surface. 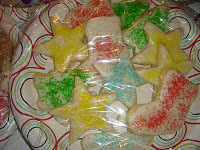 Cut cookies into desired shapes and place 2 inches apart on ungreased cookie sheet. Bake for 6-8 minutes or until very light golden brown. Remove from cookie sheet to wire rack. Frost and decorate once cooled. *I tend to make a lot less. But I also make them thicker than 1/8 inch and bigger than 2 inches. I still have a little bit of Christmas Sparkle in me. The fuzzy warm excited feeling you get as Christmas is NOW only days away. I may not be a little girl anymore but I can still make my own Christmas WISH List! The New Olympus PEN E-PM 1 is officially on it. Yes, I do realize that Christmas is only 6 days away. Most likely all my gifts have probably already been purchased. But a girl can WISH for one anyway. Here are some of the reasons I want it so much. Fast Shutter Response. Never miss a shot again with the E-PM1’s Fast Shutter Response time of less than 60 milliseconds. The TruePic VI feature allows for reduced shot-to-shot time by shortening the black-out time between shots. Professional Audio Sound Capture. Take Videos that are able to capture uncompressed CD-quality 16bit/44.1kHz Linear PCM stereo recording or AC3 Dolby Digital audio. Full 1080 HD Video Shoot up to 29 minutes of 1080 60i HD Video and stereo sound in either AVCHD or AVI formats. A Direct HD Movie Button switches you from still to movie mode with just the press of a button. It comes in 6 different colors…Black, Silver, White, Brown,…PINK! and PURPLE! Absolutely fabulous. As a mama to four rambunctious boys I take a lot of pictures. I prefer true in the moment pictures. I need a good camera. The overall quality, speed, and ease of use are all very important to me. A camera that has video quality that is equally as good is an even bigger plus. 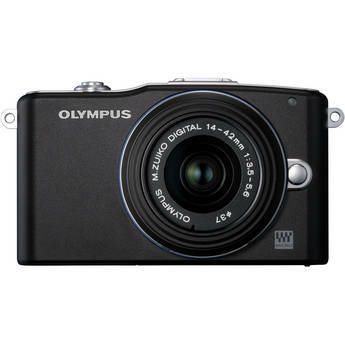 the New Olympus PEN E-PM1 for FREE! Oh yes, I said FREE! Are you thinking Why? For What? Oh for no major reason. Just to simply show ordinary everyday people how fabulous and easy it is to take great pictures. To see what they shot, go to http://penready.com. Take a look at how Olympus surprised people with the Olympus PEN camera below. What a great early Christmas Surprise. I love to see the reaction on people’s faces when they get something completely unexpected. Pure joy and appreciation. Now that’s what Christmas is all about. Disclosure: This post is sponsored by Olympus. All opinions are my own and were not influenced in anyway.